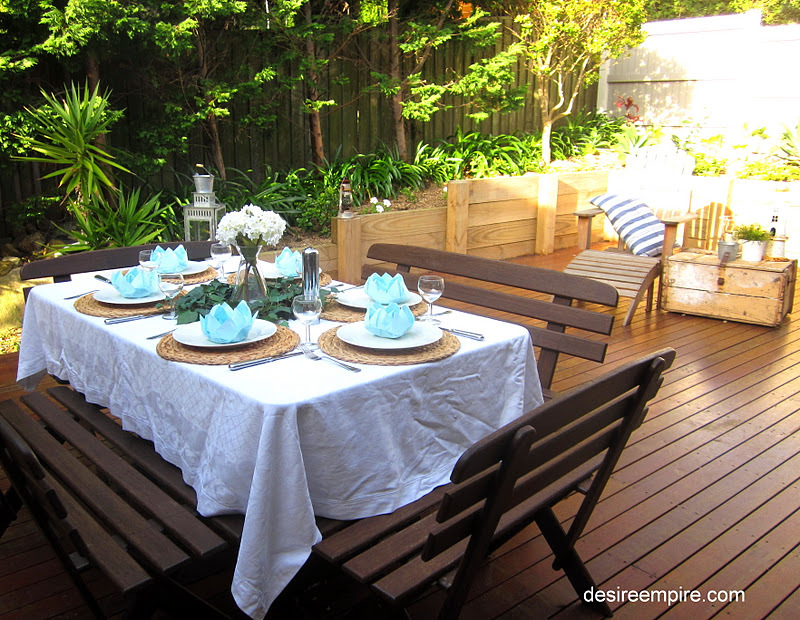 This was the tablescape I put together for the Girls Night In last Friday. You can read all about that here if you want some easy entertaining ideas. We didn't use the table in the end, as it seemed easier to hang out at the island bench and it was a little cool out there too. It didn't bother me though, as I love me a little tablescaping in the afternoon and it didn't go to waste, as I'm telling you lovely people about it. 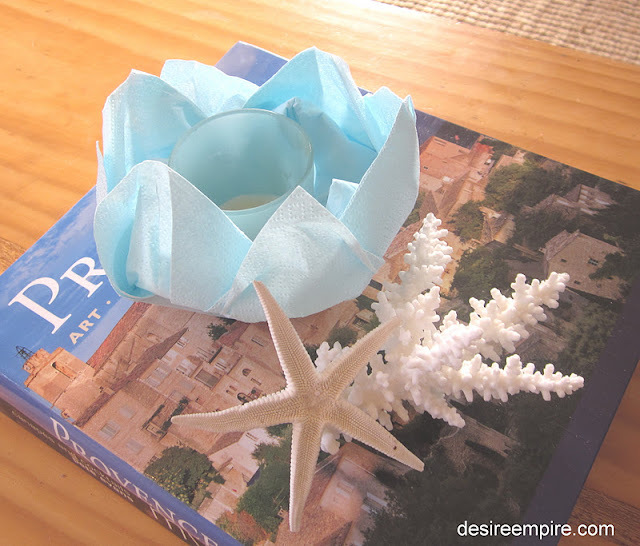 Now over the last few decades I have probably folded hundreds of these lotus flower napkins. Even though I was there in the seventies, I think I am one of the few that remembers it. 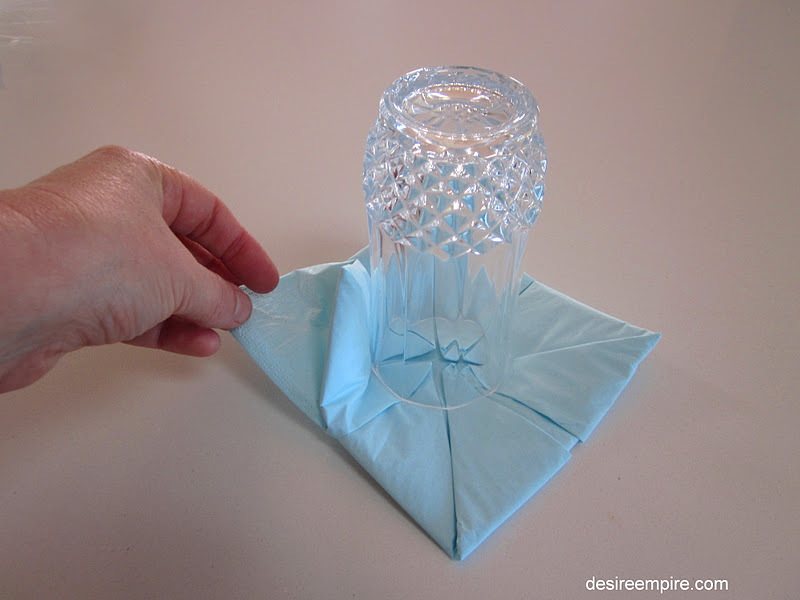 I was only a little kiddo then and as this was my mother's entertaining napkin of choice, I have folded this flower many many times. I think in the seventies she was into sticking a warm bread roll the centre of the napkin, but as I was bundled off to bed as the first guests arrived, I can't be certain. Gee how times have changed. It's nothing for the Beach House Brats to be still charging around at 11pm when we entertain, what with the casual nature of beach side entertaining, kiddos seem to always be involved. 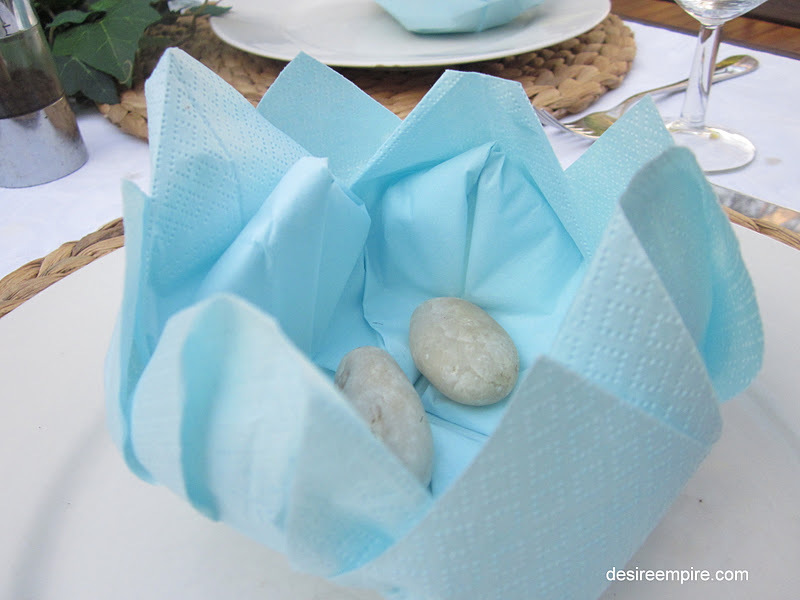 I put a few white pebbles in each napkin to hold them down as it was a little breezy, but as I was shooting the 'how to' part of this blog this morning, I got to thinking about all the other things you could stick in these little babies to make for a more interesting table. And here's what I came up with. 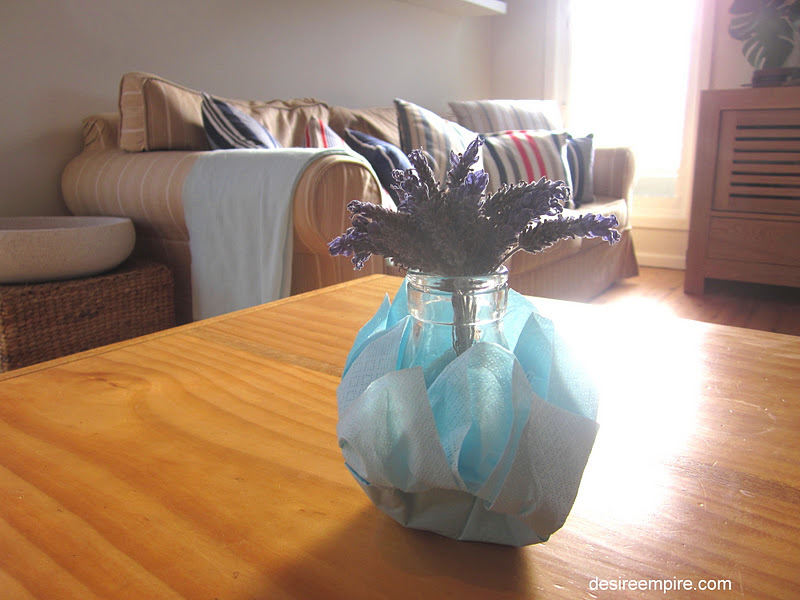 A vintage bottle with some home dried lavender. 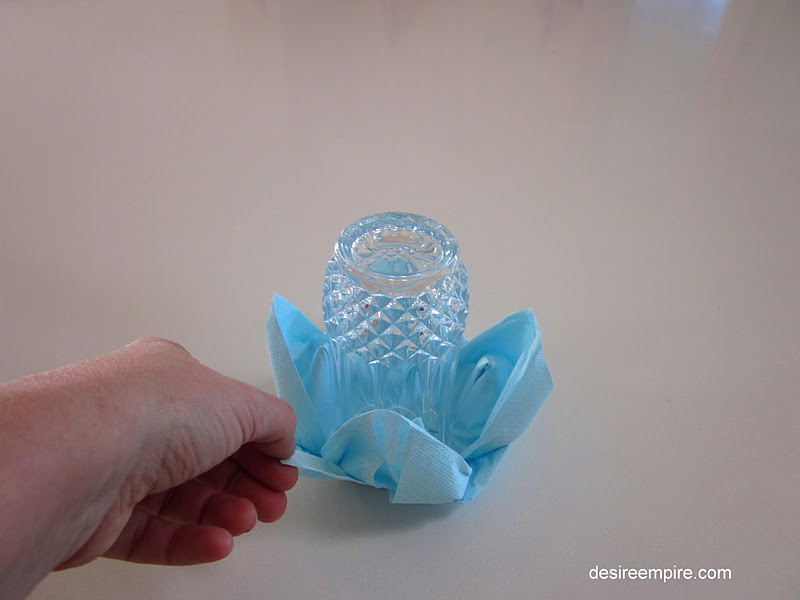 or a tea light. Probably a fire hazard so perhaps not. So here's the 'how to' bit. 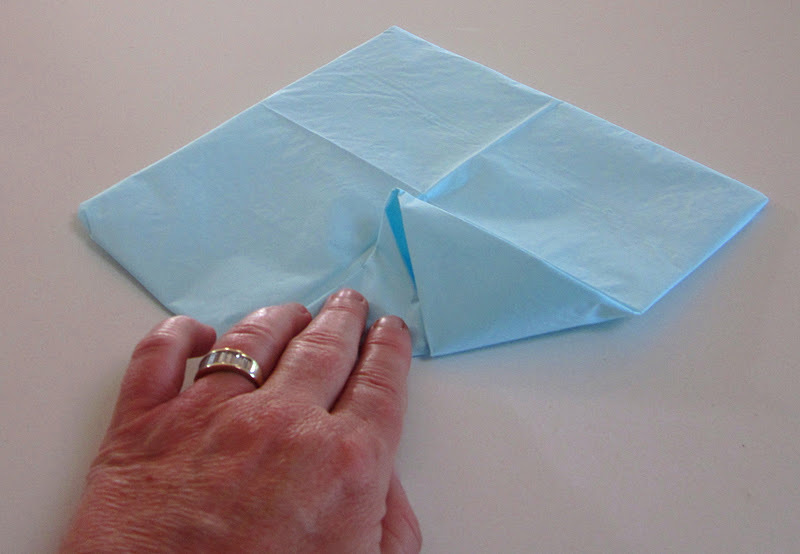 Open up a large dinner napkin and fold the 4 corners neatly into the centre. Try and get the corners right into the centre as it makes for a better result with really pointy petals. Repeat this process again on the same side. Turn the napkin over and repeat folding the corners into the centre. 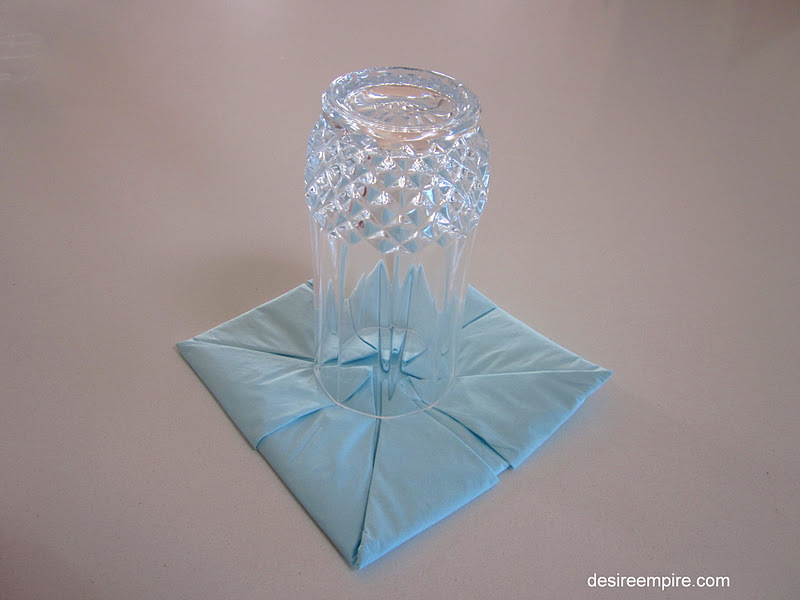 Hold a glass firmly in the centre of the napkin. 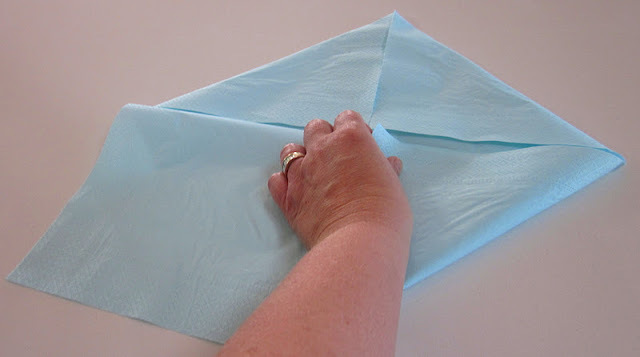 Reach under the napkin and pull up the four flaps at each corner. Reach under the napkin and pull up the remaining 4 flaps firmly. These will hold the first 4 flaps in place. Remove the glass and style to taste. I love it how my mum taught me all these fantastic homemaking skills. 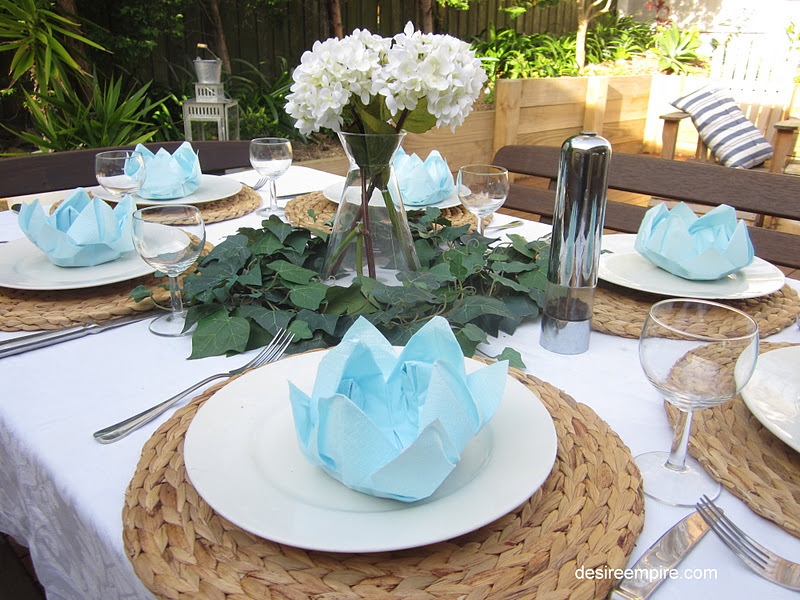 Who would have thought all those napkin folding sessions sitting around a 1960's Parker dining table would have been a great source of inspiration for a blog one day, some 35 years later. Ain't life grand!!!!!! So pretty! And life is grand! 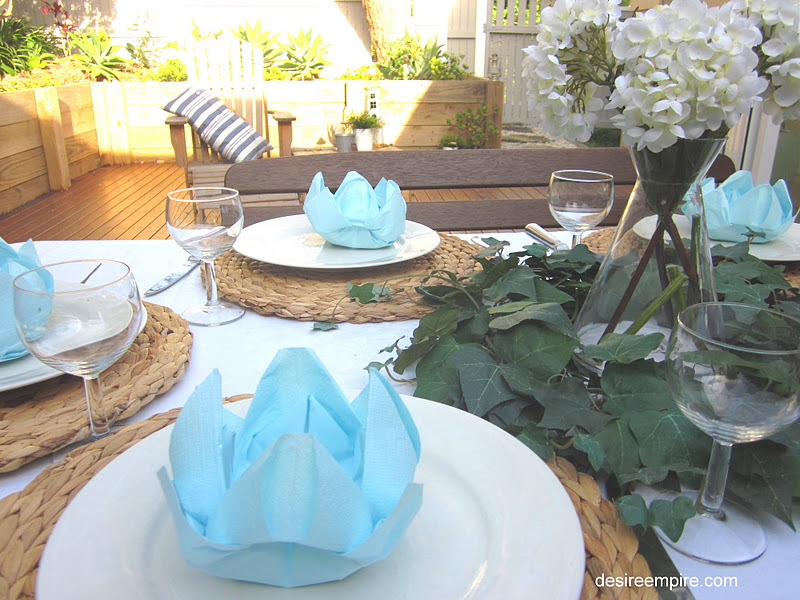 Thanks for sharing how to make the lotus flowers - have to give that a try! Very pretty and it looks like I, with just thumbs could manage this. Thanks, Carolyn!! So pretty - and that lovely soft shade of blue just makes it! Love your table, it is beautiful, sorry you didn't get to use it. I will have to try the flowers, they are so cool! 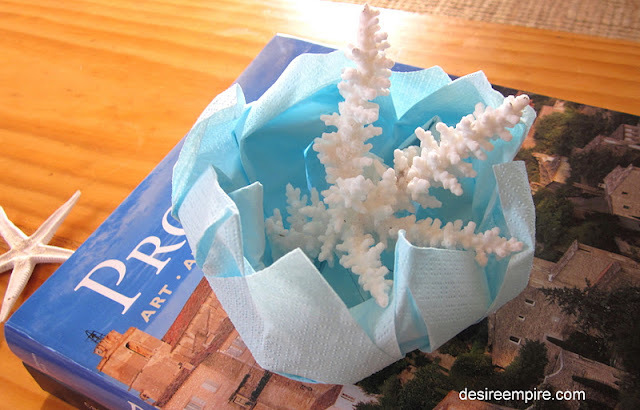 Beautiful napkin presentation! Thank you for linking it up with Home Sweet Home! Your tablescape looks fabulous Carolyn and I'll be using this tip for sure. Hey, they are great! I will be using these for my napkins for my asian wedding!